But what if I hate it. Yes I could struggle through it like a text book I didn’t want to read in college, and give it a very poor review letting everyone know how much I did not click with that particular book. This will take me several days because I keep putting the book down, and thinking about everything else I could be reading instead OR I could just quit reading it, and move on to the next hopefully better book, but is that fair to the author? I’ve Googled what other book bloggers have to say on the dreaded subject of DNF (did not finish) and it seems the community is torn. Some say finish the book no matter what, then write your vicious review. Others say put the book down, and move on, but review what you did read. Still others say stop reading and move on. No review, no anything, just stop. As you know I have previously listed books that I did not finish, and sometimes even given you the reason why. Sometimes I haven’t posted anything on my blog, but added the books to my Goodreads DNF shelf. In the future on this blog, I will not finish reading books that I am not clicking with. This does not mean I am going to be fangirling all of my reviews. I will still post how I feel, no matter what those feelings are, but I will only be reading (finishing/reviewing) books that at least have a chance with me. This is in part to my love of reading being pushed by the wayside because I feel obligated to read and review EVERY SINGLE book that I can get my hands on, whether I wanted it or not. This blog is supposed to be a fun outlet for me to post whatever I want, and it shouldn’t feel like a chore. 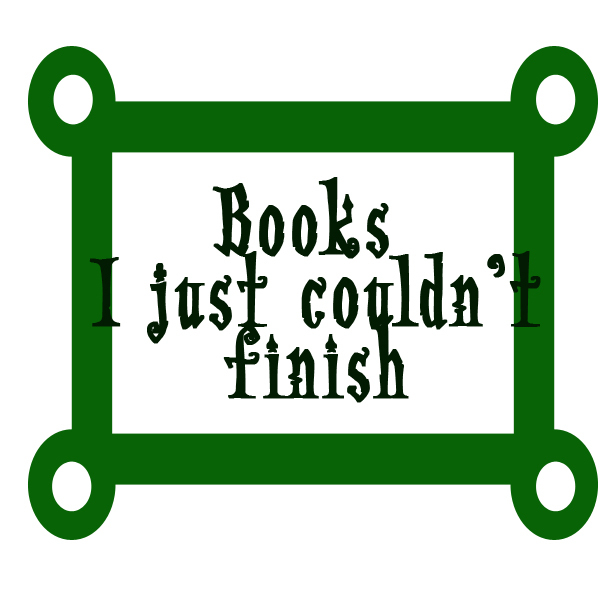 I will still be adding the books to my Goodreads DNF shelf. To the authors, publishers, and other companies that have sent me books (and will maybe, hopefully, still send me things in the future), I want to express my thanks for taking the time to send me your books. I truly appreciate it. I know that you could have sent your book to anyone at any blog, and I am grateful that you chose me. I hope you understand my decisions about DNF. I have updated my review policy to reflect this post. PS: Authors – What are your feelings on DNF? Would you rather a negative review, or no review? Bloggers- Do you read and review every book no matter what?